truck driver placement agency | Platinum Drivers Inc. When you hear the term “signing bonus” you probably think of football players. After all, NFL teams will fight over the best players and offer them a lot of money if they sign with them versus their competitors. It turns out that the trucking industry has something in common with football teams. It’s not unusual, nowadays, for trucking companies to offer a signing bonus in order to woo talented truckers away from other companies. In some cases, the signing bonus can amount to $5,000, which is enough to cause even the most loyal truckers to consider changing companies. Besides signing bonuses, trucking companies are also offering recruiting bonuses, retention bonuses, and safety bonuses. Basically, trucking companies need and want the best qualified drivers and they’re willing to pay to find and keep them. 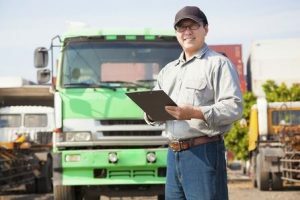 Here’s what the big problem is for the trucking industry today: there are many jobs to be filled and not enough qualified candidates to fill these positions. Therefore, companies are having to spend more money to find applicants. This is not just happening in the trucking industry– there’s a lack of skilled labor overall, from welders to electricians and then some. Where have all the workers gone? Well, Platinum Drivers knows where the good truck drivers are. The company recruits only safe, experienced, DOT-qualified CDL drivers who are committed to providing exceptional service. Is your trucking company looking to hire temporary truck drivers? Let Platinum Drivers save you time, money and hassle. Platinum Drivers leases Class A and B drivers temporarily to local, regional and OTR businesses. These drivers have been screened to make sure they meet all regulations. Their records are on file and Platinum Drivers takes care of all the administration needs.